Mainland Europe’s first Mattel Play! 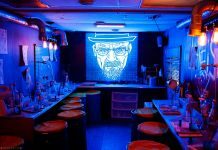 outlet launched last summer in the Netherlands as part of the wider Family Entertainment Center Sevenum. But was opening the new indoor facility during one of the hottest European summers on record good for business? Blooloop speaks to owner Ronald Hoppzak to find out. 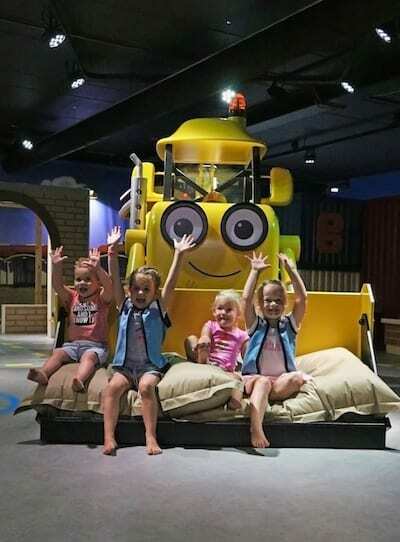 The brands Thomas & Friends, Bob the Builder, Fireman Sam and Angelina Ballerina are central to the 12,000 square-metre offering outside the small town of Sevenum. Located alongside the A67 highway that links this southern part of the Netherlands to nearby Germany, the FEC is well placed to feed off two existing attractions close by. One of these is the fast-growing theme park Toverland. The other is De Schatberg, a 54-year old lakeside holiday park and campsite that has been in the Hoppzak family’s ownership for over two decades. Yet whereas Toverland, which began life as an indoor park, has expanded over the past decade by going outdoors, De Schatberg has done the reverse. 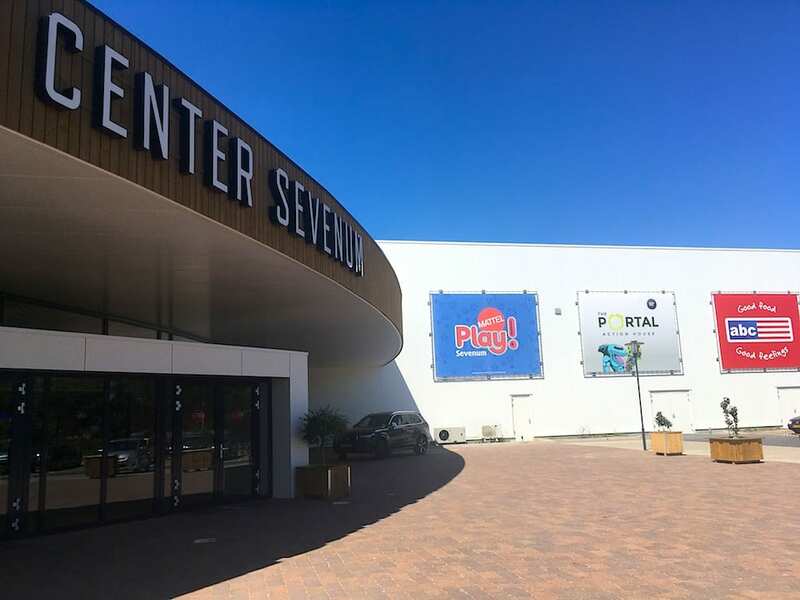 Family Entertainment Enter Sevenum opened in June 2018, complementing ABC Restaurants, which opened in the same building three months earlier. Covering a 2,000 square-metre corner of the FEC and spread over two floors, Mattel Play! 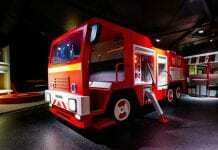 Sevenum is the first branded attraction of its kind in the Benelux. 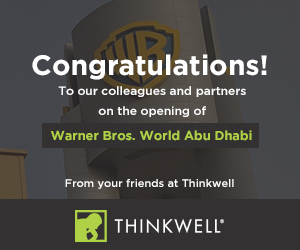 Licensed by global toy company Mattel, it follows the opening in 2016 of outlets in Liverpool and Dubai. 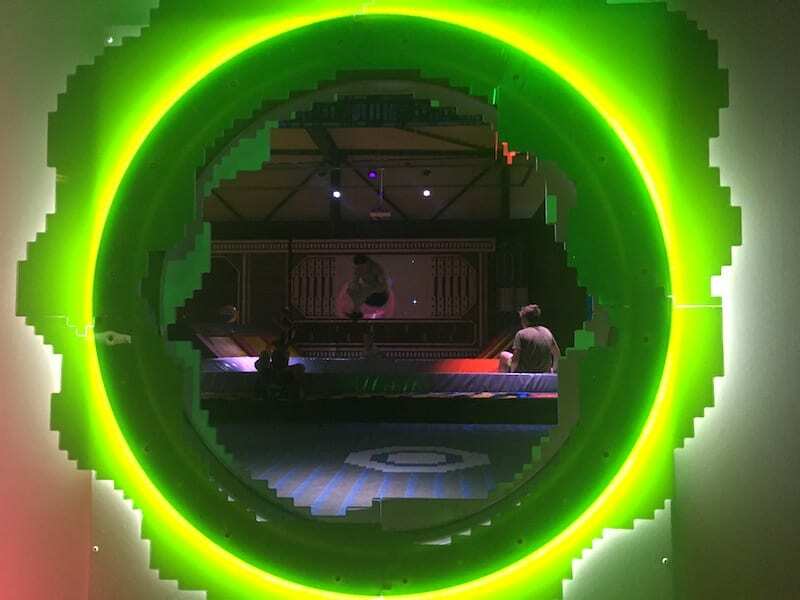 In addition to play areas featuring the four chosen Mattel brands, Family Entertainment Center Sevenum also features a MegaBloks construction zone, roller disco and The Portal Action House – aimed at older children and young teens. The capacity of Mattel Play! is around 350-400 at a time, or about 1,000 a day for this and The Portal. ABC Restaurants can handle an additional 3,500. Lappset Creative designed, planned and supplied all the play equipment inside Mattel Play! Sevenum – the largest single project it has ever delivered. 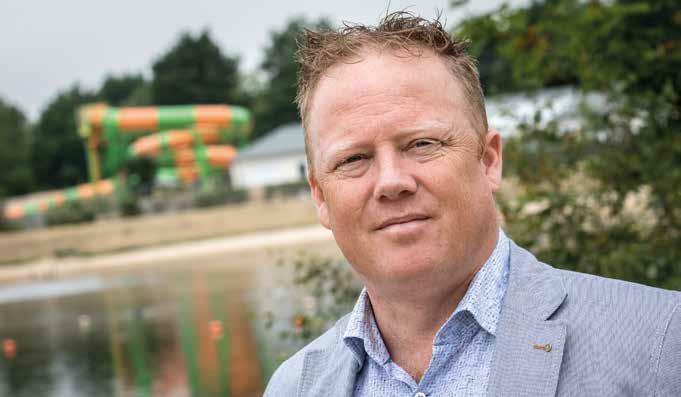 The concept for the wider Family Entertainment Center Sevenum was conceived around five years ago when the Hoppzak family identified a need for an-all weather attraction to complement De Schatberg. The campsite and its bungalows perform strongest, as you might expect, in summer. Hoppzak first came into contact with Lappset after speaking to the company about another intellectual property (IP): Angry Birds. 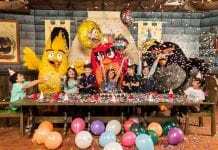 The company had already built several Angry Birds Activity Parks under licence from Rovio. 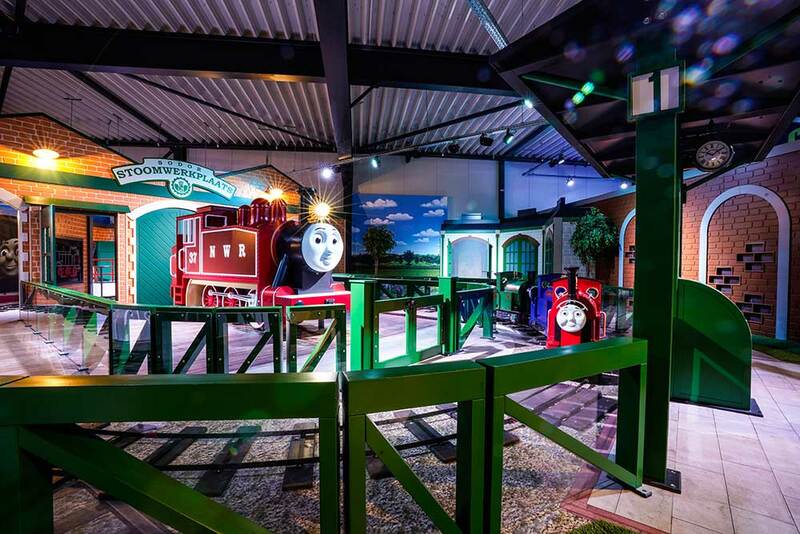 Yet ultimately it would be Thomas, Bob, Sam and Angelina, represented by Mattel (and HIT Entertainment when negotiations began), that would be selected to provide the backbone to Family Entertainment Center Sevenum. Naturally, Hoppzak’s own children helped inform the choice of brands. And it was his experiences as a father that convinced him to use IP in the first place as a way of setting the FEC apart from other play outlets. 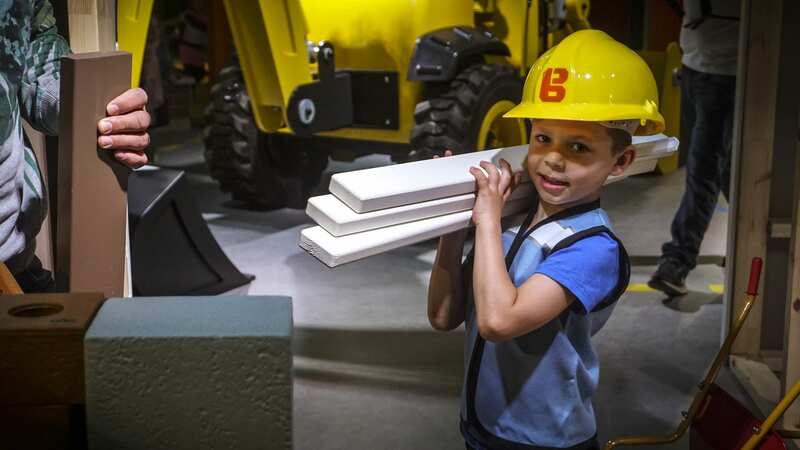 In building Family Entertainment Center Sevenum, Hoppzak had to convince Mattel and other potential partners that a standalone site would be a good outlet for their brands, rather than a shopping mall. Hoppzak has placed a lot of faith in Thomas & Friends, Bob the Builder, Fireman Sam and Angelina Ballerina. His current licensing agreement with Mattel last for another seven years, but these are brands that will “last forever,” he says. On entrance to the FEC, guests are greeted by an airy lobby. The gift shop – an important part of the operation – is to the left, and ABC Restaurants to the right. 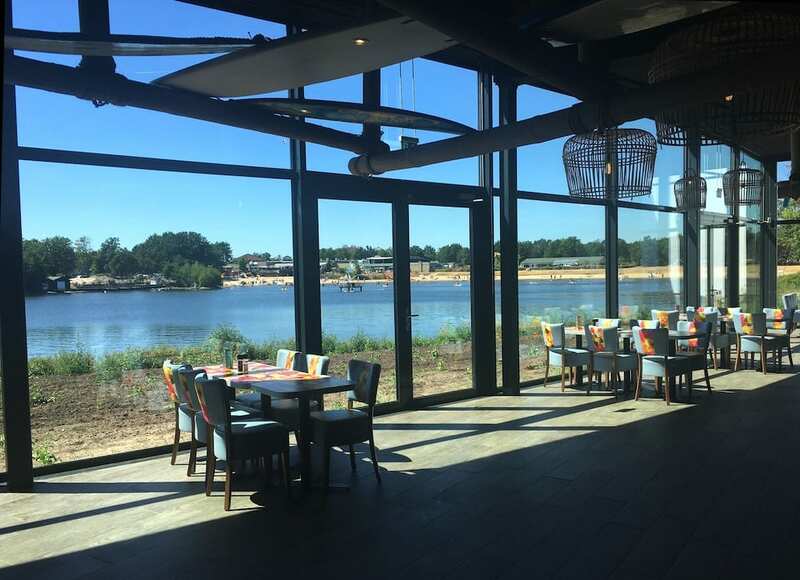 A big window at the back of the restaurant provides panoramic views of De Schatberg and its lakeside activities (as pictured above). Entry to Mattel Play! costs a very reasonable €12.50 for children, and just €5.00 for adults. Annual passes are available for €45.00/€20.00. Once guests have bought their ticket, they can chose which Mattel experience to enjoy first. 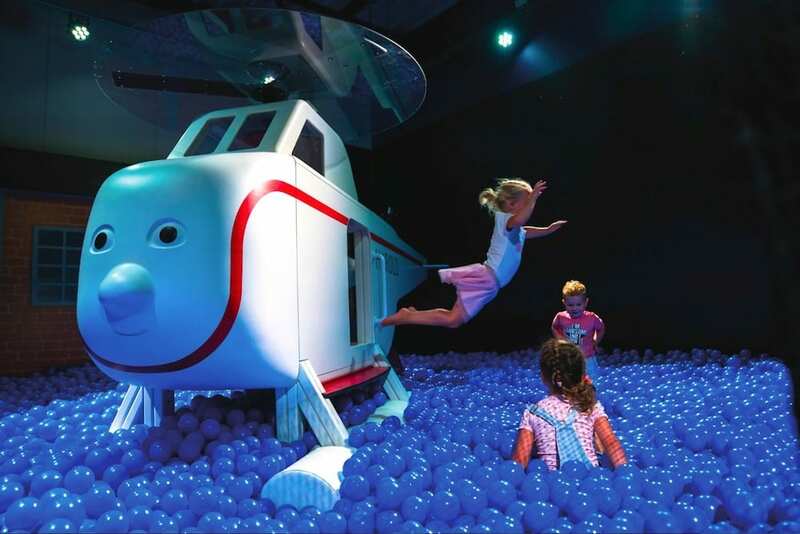 On the ground floor, the Bob the Builder (Bob de Bouwer in Dutch) and Fireman Sam (Brandweerman Sam) play areas are clustered together around a central seating area, with a café to the side. This simple but clever layout means parents are never far away from their children. Thomas the Tank Engine (Thomas de Stoomlocomotief) is upstairs, together with Angelina Ballerina and the roller disco rink. 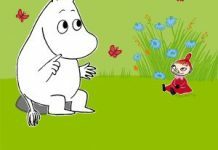 The FEC has been designed to give children and parents the opportunity to play together and embrace family time as they immerse themselves in familiar brand environments with their favourite characters. Furthermore, families can stay active as they run, jump, climb, play and participate in the various activities. The Mega Blok construction area (upstairs) provides added scope for play and creativity. For an additional €12.50 (€7.50 in the evenings), older guests can enter The Portal Activity House. Located on the first floor, it is accessed via a separate flight of stairs to Mattel Play. As visitors arrive, they find themselves inside a family home, with sports trophies and posters of pop stars on the walls. 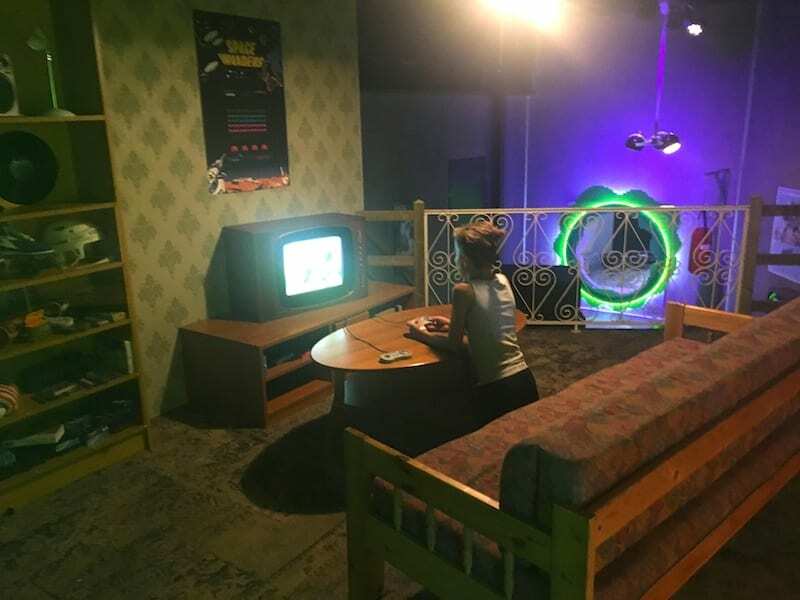 They can even play a few vintage computer games in front of the TV. However, this is just a prelude to the main experience. In the corner of the room is a glowing green portal. Guests are encouraged to get active by stepping through it. 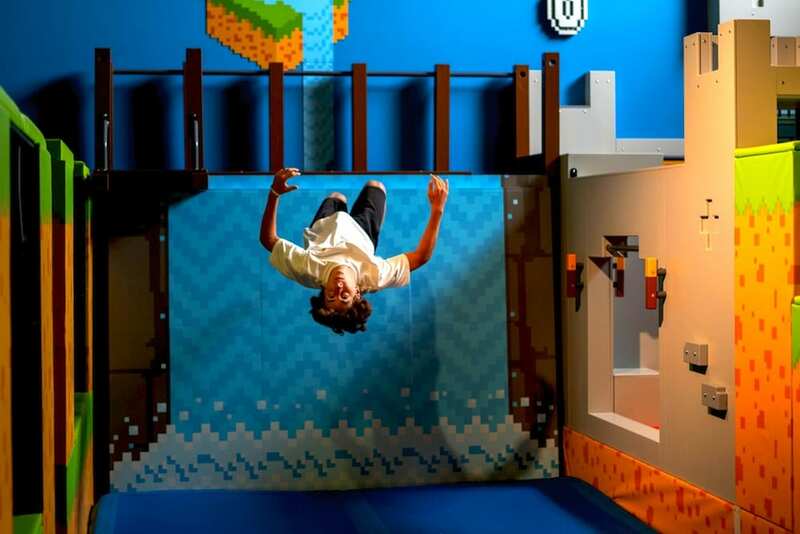 On the other side they will discover trampolines, a foam pit, skating ramp and BMX track – all themed with computer game imagery. Suddenly the ‘virtual’ world has become real; a nice twist on all those VR attractions out there, where visitors experience only an imagined world. 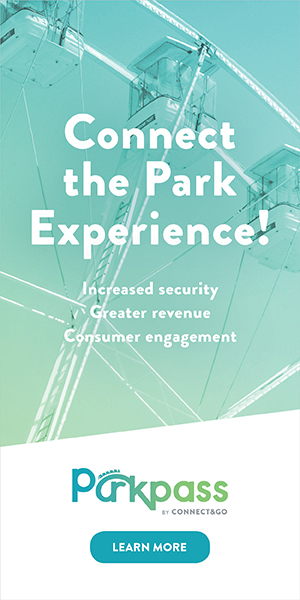 The activity house was developed together with Lappset, and the two parties hope to licence the homegrown IP to other interested operators. 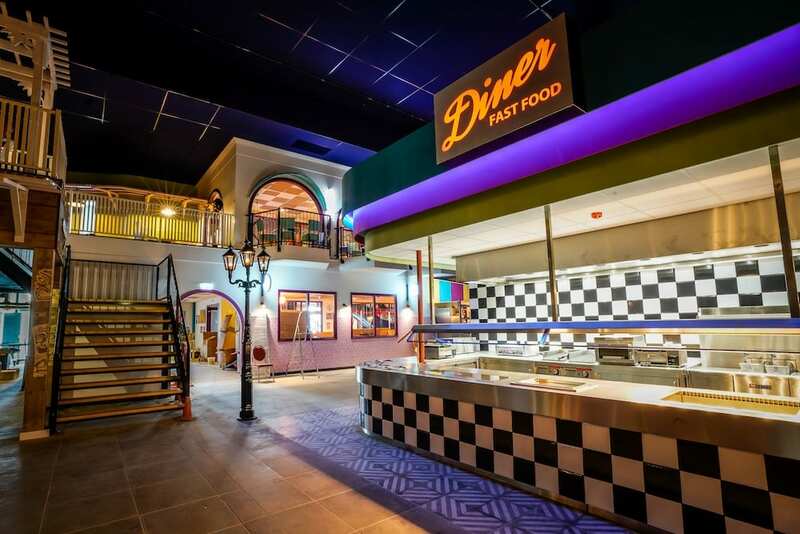 There’s one additional branded offering at Family Entertainment Centre Sevenum, and it’s here that families may want to head after working up an appetite in the play areas. At €29.50 per person, a meal at ABC Restaurants costs more than Mattel Play! and The Portal put together, but diners do get plenty of choice. The all-you-can-eat concept features 11 different cuisines, from seafood and steak to a salad bar, bakery, Chinese, Mexican, and lots in between. It was so hot in the Netherlands, and much of Europe, last summer – peaking around 40°C (104°F) – that you’d almost expect the FEC to do well because it offered some air-conditioned comfort. Yet after nine weeks without rain, it appears most families were so fatigued they barely left the house at all. So it appears Family Entertainment Center Sevenum is already balancing out business in the off season for De Schtaberg, just as intended. As well as picking up visitors en-route to/from Toverland, in summer the FEC is likely to attract families staying at other local campsites. Unlike previously at De Schatberg, a rainy day need no longer spell disaster for this family business. But it would be good if it isn’t quite so hot this summer.